First Great Western has been accused of forcing some commuters in Cornwall to endure travel cost increases because of changes in rail cards. Changes to the popular Cornish Railcard mean that in future it will no longer give 30% discounts on journeys taken before 0930. First said it was bringing in new season tickets and had also cut prices of several day return tickets. Travel watchdogs said the move would hit many part-time workers. The old Cornish Railcard offered people in Cornwall and Plymouth a third off standard class fares on any route between Plymouth and Penzance, including branch lines. They are valid for a year. First said it was combining its Cornish Railcard with its Devon counterpart, and that its new season tickets, which are available from next week, would continue a one-third discount for commuters. But its price is based on passengers using services five days a week. Christopher Irwin of TravelWatch South West said: "It will impact on people who do part-time work, and on anyone who travels the slightest bit regularly before 9.30am unless they've got a season ticket. "My message is to go and buy the current Cornish Railcard sometime before offices close on Saturday evening." First Great Western said that people who did travel more regularly would be rewarded with larger discounts with the new season tickets. 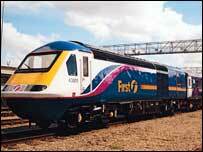 FirstGroup was awarded the newly-created Greater Western franchises last December. BBC South West Business Correspondent Neil Gallacher said: "First said since it began its new franchise, it had cut the price of Cheap Day Return, Cornish Day Ranger and Devon Day Ranger tickets. "But it is clear that because the franchise requires First to hand £1bn to the government, savings have to be made somewhere."